Today I want to discuss some local railroad history. Many years ago, the Good Spring Railroad was incorporated. The exact date is unknown, but it could have been as early as 1861. On March 26th, 1869, the railroad became organized with Reading Company (RDG, circa 1833), controlling the lines. They took over the property of the Swatara Railroad, so they now had a line from Donaldson to Brookside, crossing the border from Schuylkill into Dauphin County. The high demand for coal at the time called for an 8-mile extension of the track. As a result, by 1870, the railroad's trackage had grown to over 20 miles. 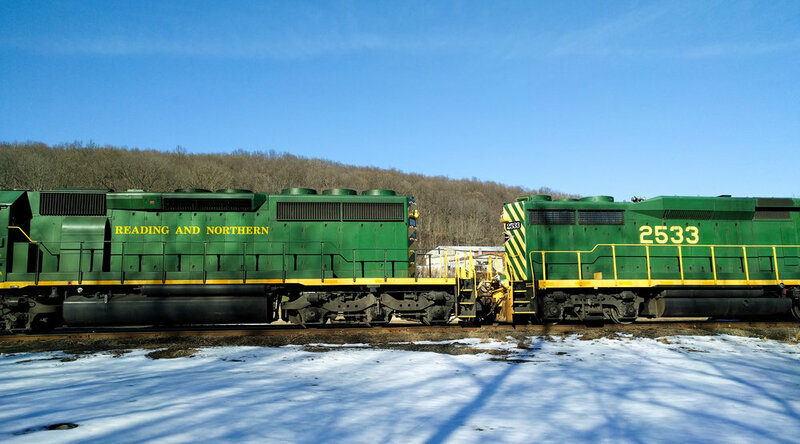 The railroad coexisted with the Pine Grove and Lebanon Railroad and the Lebanon and Pine Grove Railroad until they all merged into the Lebanon and Tremont Railroad in 1871. Today, these lines are owned and operated by Reading Blue Mountain and Northern. I won't claim that coal is still king, but these lines are starting to get busier again. Almost every week, railroad workers are upgrading the tracks and keeping running conditions suitable. Their maintenance department has been very active lately! Also, they have recently added a new customer to the branch in Good Spring. I will be talking more about this in an upcoming article. In the future, I intend to do more research on our local railroads. I would also like to dedicate a part of my future model railway exhibit to our history like this. If you have any more information about the Good Spring Railroad, please get in touch! How old are your local lines? Comment Below!